Kasparo, right behind the apartments on La Rambla, is still one of the best of the various cafeteria terraces around the Plaça Vicenç Martorell. They serve tapas, sandwitches, salads and a big variety or selection of more substantial dishes, available all day. There is no indoor seating, so this is more of a warm weather proposition, great for Spring and summer! It is on the square right behind our apartments located on La Rambla, where you’ll find this relaxing sunny spot to take a break and breath in some fresh air. An other very recommendable terrace to visit is Belvedere‘s. This is a place you could stop by if you go visit Gaudi’s Houses on Passeig the Gràcia, as it is 4 streets above Casa Batlló, on Passatge de Mercader, 3 08008 Barcelona. Even if it is a restaurant that’s been open for a life-time, it is still a pretty unknown place. The terrace itself barely has 3 or 4 tables, but it may be, to my concern, one of the best terraces in Barcelona. Located on the stairway of a modernist house with a forged metal entrance, you can have a high quality dinner and enjoy a tastefull cocktail, simply a delight. 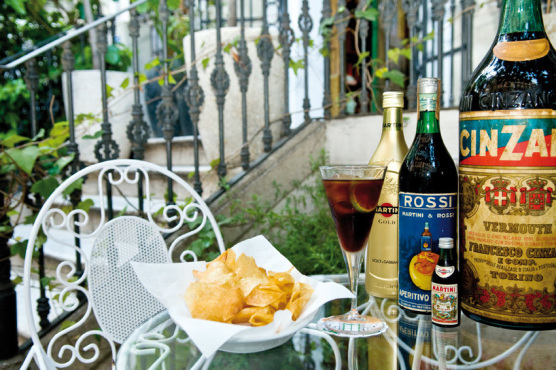 Hotel Neri‘s terrace is maybe the most special place you’ll bump into during your visit in our city. Hotel Neri is placed on Neri’s Square, where there is also a very famous church (famous due to the bombing it suffered, causing the death of dozens of homeless children during the war). You will feel, while sitting on Hotel Neri’s street, the nostalgy flowing through your blood, mixed with the absolute calmness the square itself transmits, and the shy sunlight petting your skin. Pudding is a cool place specialized in Breakfasts, that you can reach with a 10 minute walk from La Rambla. Focused on cooking courses and home-made cakes and others, they will treat you with the most tasteful piece of cake, and I guarantee you’ll feel like Alice in Wonderland! If you rather a high quality furnitured terrace, we can also recommend you to visit Bar Lobo, of Tragaluz Group (a well known restaurant small -and familiar- chain), located on Pintor Fortuny, 3, El Raval, 08001. If you prefer to get out of the center of Barcelona and visit the old Sarrià Quarter, I must tell you that Grupo Tragaluz also has an other amazing terrace, Acontraluz, located on Milanesat Street (right next to “Tres Torres” FGC metro stop). It is a very quiet garden inside of the Restaurant, where you’ll be welcome to enjoy a drink or even have lunch or dinner out. I encourage you to stay for a meal, as their cook is a genious and all dishes they offer are worth trying. If you want to stay in Sarrià Quarter, you could also go to Vivanda, on Major de Sarrià Street number 134, a great restaurant with a cosy inner terrace right above Sarrià’s Church, where you’ll taste traditional recipies detailedly treated. If instead, you rather go for an original cocktail, Torre Rosa is a must! No extra comments need to be made, go and see with your own eyes. If you have rented the Parc Güell apartment or are visiting the Gràcia Quarter, there are a couple places you must know about. The first one is Cafè del Sol, located in Plaça del Sol, and the other one is Olokuti, a store that produces, manufacturing, clothes and all kinds of products to sell always 100% ecologic. Besides being a store, it also has a wonderful garden at the back, where they serve, to the few tables there are, drinks and snacks also cooked with ecologic products. It’s enough for now! I hope you get to go to some of these places, and if you do, I would really appreciate you writting your opinion or even recommend other places you discover! Have you ever dreamt of flying? És GIRONA! És temps de flors! SCALA DEI WINERY. A delicious spot in Priorat. Interested in local wine, beer and spirits?